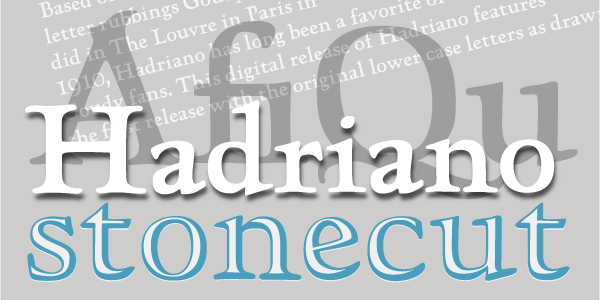 Based on letter rubbings Goudy did in The Louvre in Paris in 1910, Hadriano has long been a favorite of Goudy fans. 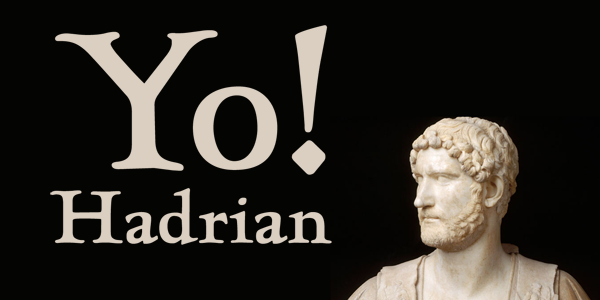 This digital release of Hadriano features the first release with the original lower case letters as drawn by F.W. 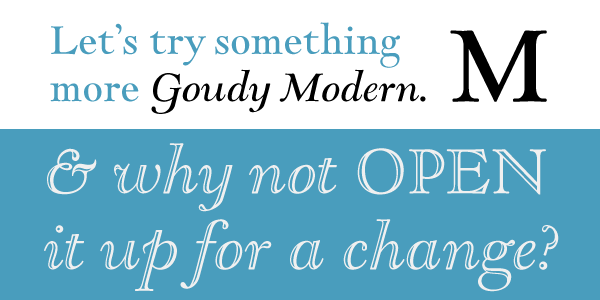 Goudy. 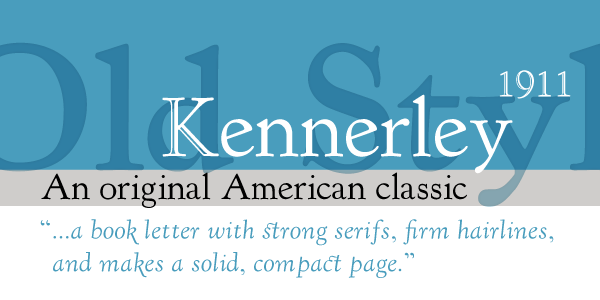 The font was originally released only with an Upper Case and later with the lower case from Kennerley Bold by Lanston Monotype. 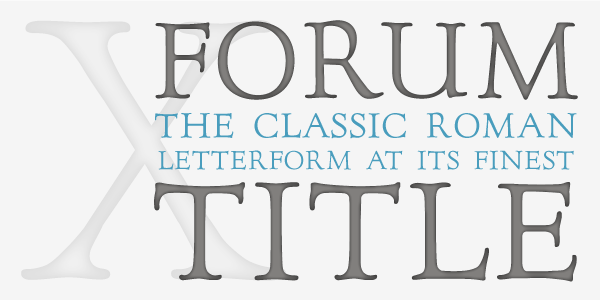 The original lower case letters have never been issued in any form previous to this digital version-even in metal. The digitizing was done from rare proofs found in the Cary Collection at RIT. The enhanced Pro version with Small Caps and Central European character set was added, along with its companion "Stonecut" variations, in early 2007. 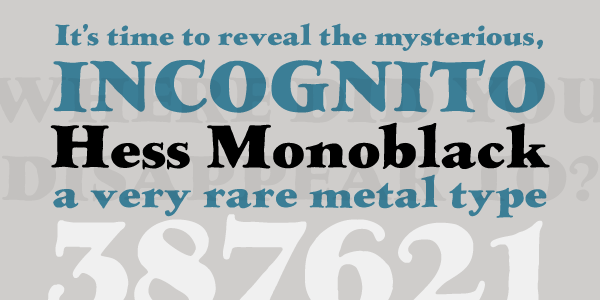 Hadriano Stonecut was originally made by Sol Hess circa 1932.